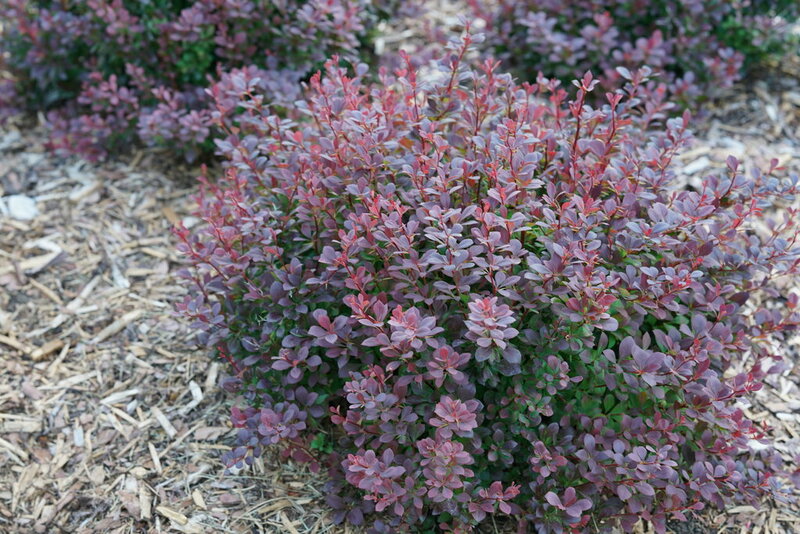 - Sterile - not invasive like other types. 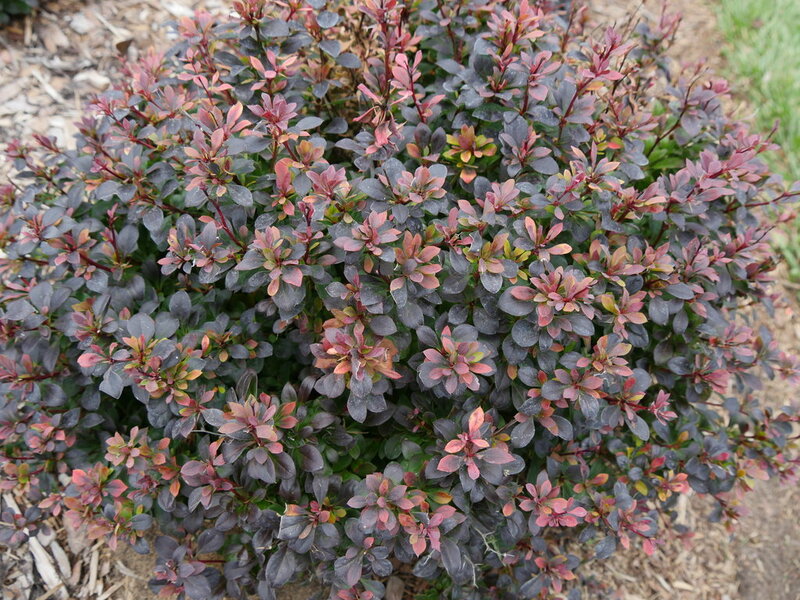 - Glossy, deep purple-black foliage for easy-care color. 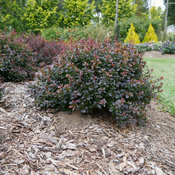 - Naturally grows as a tight mound without pruning. As a highly deer resistant plant, barberry is a versatile plant for any sunny spot in your landscape. 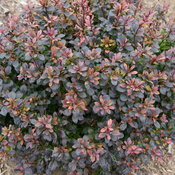 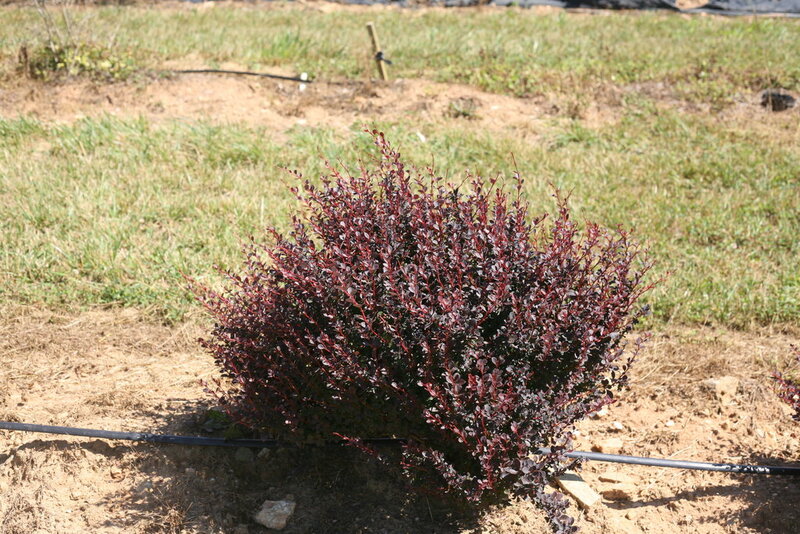 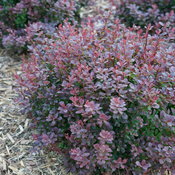 Barberry is a truly easy-to-care-for shrub and requires no pruning to maintain its neat shape. 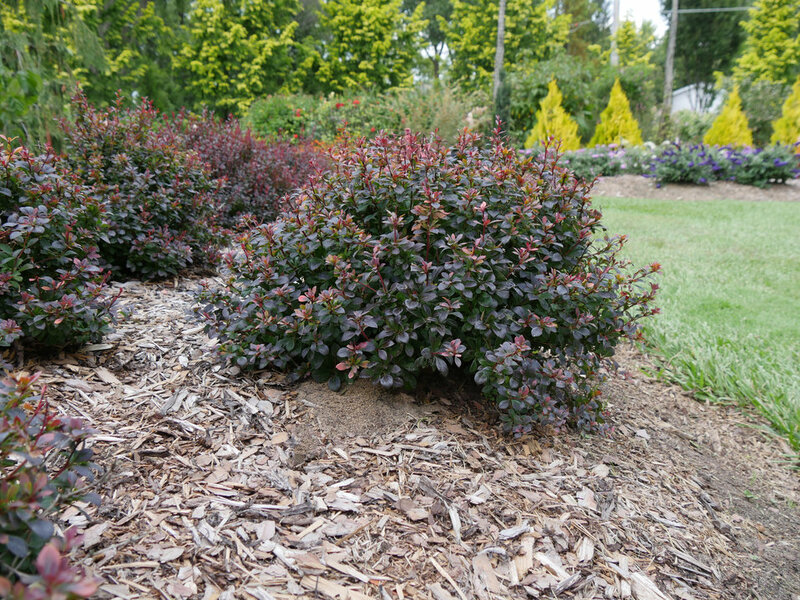 It may be trimmed in early spring if you wish, but do avoid cutting into any thick woody stems, as recovery is slow from such cuts. 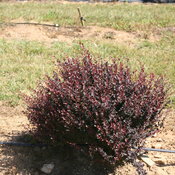 The wood of Japanese barberries is bright yellow inside - cut a stem and see for yourself!